Anathema have announced that they’ll release a compilation album titled Internal Landscapes 2008-2018 on October 26. The 13-track record will feature material recorded on the Kscope label, and comes just days after it was revealed that the band would head out on the Ambient Acoustic tour in September and October and appear at Kscope’s 10th anniversary show at London’s Union Chapel on October 2. 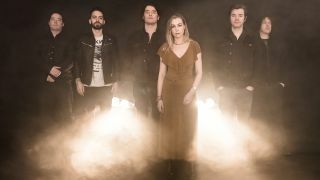 Anathema’s Daniel Cavanagh says: “The band isn’t just a way of life, its been much more than that. To us, as a family, writing music of such honesty, and reaching people who feel it similarly, is as profound an expression of art and life as its possible to be. Internal Landscapes 2008-2018 is now available for pre-order. Find the cover art and tracklist below.